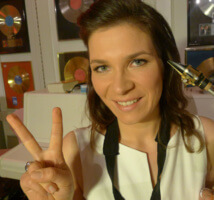 Susanne Alt was born into a musical household. Her father, Hans-Joachim Alt is a composer, poet and piano teacher. Her mother, Maria Alt, is a guitar teacher. After learning classical piano and guitar from her parents she started to play the saxophone. Soon she successfully took part in saxophone competitions. 1993-1995, still in school, She took classical saxophone lessons at the Meistersingerkonservatorium Nuremberg. 1995-96 she studied one year there as well, fulltime. During that year Susanne began to develop her jazz skills. Also in 1996 she won the « Siemens-Jazz-Förderpreis » and moved to the Netherlands to study jazz saxophone at the Conservatorium van Amsterdam (in 1996 it was still called Hilversums Conservatorium, later fused with Amsterdam). Susanne studied there from 1996-2000. At about the same time (1997-2000) she was a member of the National Youth Jazz Orchestra Germany, conducted by Peter Herbolzheimer and John Ruocco. Because she wanted to develop her musical personality and own style further as well as to learn about composing, she studied from 2000-2003 at the Universität der Künste, Berlin, Germany at Peter Weniger, David Friedman and Sigi Busch. In 2000 she won prizes at the jazz competitions in Leiden and Breda, The Netherlands and was 2002 finalist of the Leipziger Jazznachwuchsfestival, Germany.